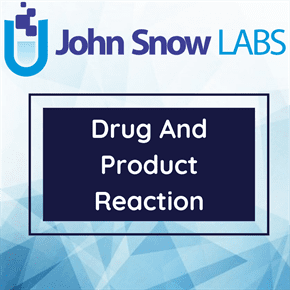 This dataset is about the relationship of a drug to certain symptoms or diseases. There are two types of relationships; A drug either “Caused side effects” or “was effective against symptom”. This dataset is created by Crowd Flower. The data contains information filled out on forms by patients. The contributors at Crowd Flower then went through the data and determined the relationship of a drug to certain symptoms or diseases. There are two types of relationships. A drug either: Caused side effects – Drug gave me symptom. – Question – Have you tried drug? 711484252 true 3 2015-04-29T18:24:00 Question 1 Was effective against 1 771 false Is Imuran known to help abscesses? 711484451 true 3 2015-04-29T21:18:00 Personal experience 1 Caused side effect 1 970 false Effexor threw me into mania. 711484712 true 3 2015-04-30T01:09:00 Impersonal experience 0.64 Other 0.7 1231 false say SSD does not approve just IBS. 711484241 true 3 2015-04-29T18:29:00 Personal experience 1 Other 0.36 760 false Thanks to my weight loss i am off insulin. 711484776 true 3 2015-04-29T17:54:00 Question 0.67 Other 1 1295 false Is it all insulin or is it part scar tissue or what? 711483801 true 3 2015-04-29T17:04:00 Personal experience 1 Other 0.67 320 false Im talking about RIBA RASH and INCIVEK RASH. 711483539 true 3 2015-04-29T18:00:00 Personal experience 1 Other 0.65 58 false 5cm ovarian cyst and my estradiol level was 380. 711483738 true 3 2015-04-30T01:09:00 Question 1 Caused side effect 0.64 257 false And why isnt autism listed for vaccine court?